A Kieler Woche tagged image from photographer – wogo24220 as published on Flickr. 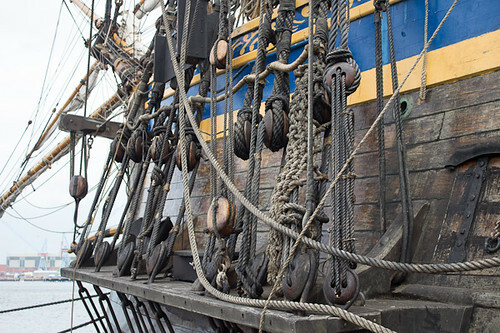 Götheborg is a sailing replica of an 18th-century Swedish East Indiaman. It is the world’s largest operational wooden sailing vessel. The original ship sank off Gothenburg, Sweden, on 12 September 1745, while approaching her home harbour after returning from her third voyage to China. All sailors survived. Construction of the replica started in 1995. The hull was launched in 2003, and the rig was fully tested for the first time in 2005. Much of the time was spent researching how to rebuild the replica. In 2008 "Götheborg" completed the first Baltic Sea Tour.